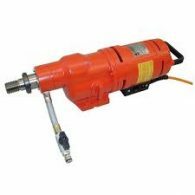 This versatile Drill Motor combines excellent performance with many of the features which contribute to safety and efficiency on site. The Intellitronic electronic start-up system uses a microprocessor to ensure a smooth build-up of drilling speed and also guards against overload in use by causing the motor to pulsate until there is a return to safe operating conditions. As with other models, particular attention is paid to optimal lubrication of the 3 speed gearbox and double insulation of the electrical wiring to ensure safety and durability of use. Compact and short design which is ideal for use in tight areas. The soft grip increases the operator’s comfort. The pistol grip with integrated LED load indication and double spirit level allows right and left handed use. An optional pilot drill can be mounted for extra safety when drilling free hand. This machine combines many of the well respected features of the DK 22 drill motor with increased power (up to 3000 W) and enhanced performance. It is economic in use and designed for optimal efficiency and durability. In addition to 3 speed gearing and oil-bath lubrication for the gearbox, both clutch and motor are protected from current overload and a start current limiter in incorporated for extra reliability. 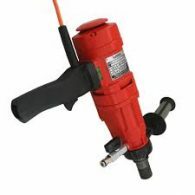 For drilling efficiency, the stainless steel spindle is DC-coated to protect against rust and abrasion, while the spindle has a quick-release ring mechanism for easy removal of the Core Drill. Weka has always been very progressive in terms of introducing innovations in the area of diamond-tipped drilling machines. Weka’s latest development, SR technology (SR stands for Switched Reluctance), has already been introduced effectively in the company’s range of pillar drilling machines. The SR motors get the maximum potential out of the 220 volt mains network and no longer use carbon brushes. The SR38 has three mechanically regulated speeds, each of which operates in combination with 6 electronic speeds. These can be changed during drilling using push-buttons. 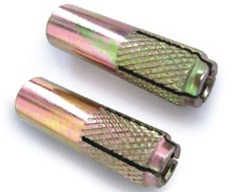 1 1/4″ UNC Thread & 450mm Drilling Length. Individually Brazed Rooftop Segment For Drilling Steel Reinforced Concrete. CDT carry a complete range of core bits ranging from 25mm through to 500mm in diameter. CDT carry a complete range of core bits ranging from 16mm through to 250mm in diameter. The Vacuum pump is an oil less diaphragm pump suitable for anchoring diamond core drill rigs. The vacuum comes complete with frame, hose & couplings. Max Flow 1.55cfm / 2.63m3/h, Max Pressure 60psi / 4.2bar, max vacuum 25.5in-Hg / 150mbar, Power 1/3 HP / 0.25kW. Our internal tests have shown that when power is cut, the unit holds suction of a wall mounted drill rig for up to 60 seconds. Kit includes vacuum hose and high quality fittings. 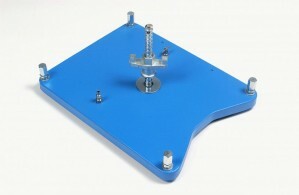 This vacuum plate allows you to solidly attach your drilling stand to all smooth walls. The vacuum, which is generated using a standard vacuum pump (equipped with a storage tank for safety reasons), pulls the plate against the wall with a force equivalent to approximately 1000 kg. The plate is equipped with a quick-release pin to allow rapid attachment of the stand. A suction release valve allows you to detach the plate again from the wall, floor or ceiling. 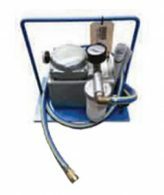 CDTA have all fittings/ attachments & vacuum pumps in stock. NOTE: This product does not come with a lock down kit as shown in the photo. 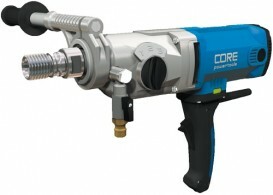 Premium industrial sprayer. 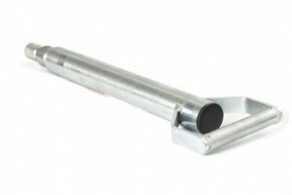 Heavy duty steel, tripoxy coated for triple protection against corrosion, rust & damage. Viton seal equipped with large open head for functionality. CDTA supplies a full range of M12 drop-in anchors to accommodate all your core drilling needs. Contact us for inquiries.